The healthcare sector in South Africa is experiencing a huge boom currently. The country is seeking to raise its level of access to healthcare at par with international standards. The Day Hospital Association of South Africa predicts that the number of day hospitals in the country will double in the next five years. Currently there are 50 or so day hospitals in South Africa. And the association envisions the installation of 10 new day clinics in the Western Cape by the dawn of 2017. 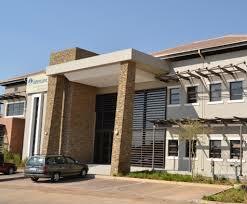 Intercare recently unveiled its first day hospital facility in Cape Town; the Intercare Medical Centre. Recently registered hospital group Advanced Health plans to add two surgical day facilities in the same city. Both of them should be fully operational by the end of 2015. This adds to three day surgery facilities Intercare already has in Gauteng. Another healthcare provider, Mediclinic, did the same in Durbanville not too long ago and according to the firm’s operational manager another day clinic will be opened in Limpopo this year. All these efforts aim to secure affordable healthcare for as many citizens as possible regardless of level of income. The association believes that day healthcare facilities are indispensible if the goal of putting healthcare within the reach of all South Africans is to be reached. Medical aid schemes can use their capacity to treatment more cost-effectively than other private providers to develop reasonably priced packages for people of all walks. Day clinics can offer access to surgical treatment that folks would otherwise be unable to afford. In the West, the day surgery model has been in operation since the seventies. It is now a solid part of healthcare provision in North America and Europe. A combination of factors led to the development and spread of this form of healthcare. These include ageing populations and economic pressure. Evidence of the rising popularity of day surgery is in statistics provided by the American Hospital Association. According to a report they released in 2010, more than 60% of all surgeries done in the US were day surgeries. Even as South Africa seeks to follow in the footsteps of its more developed counterparts, a number of challenges have arisen. One of the biggest of these is acquiring licensing for the day clinics in the areas that need them. Another is the personnel, and more specifically, the doctors that must cater to patients in these facilities. Owners of day surgery facilities have resorted to sweet-talking medical schemes to pay the surgeons performing procedures there more. Intercare on their part chose to make specialists co-owners of the facility. The cost of equipment is another hurdle for owners of day hospitals. One of the solutions they have come up with is to hire the equipment used for surgical procedures instead of buying it. Another way they are trying to mitigate their costs is to adopt a co-location model where they share non-clinical resources with bigger healthcare facilities nearby.